This 65/35 blend creates unmatched softness and comfort. 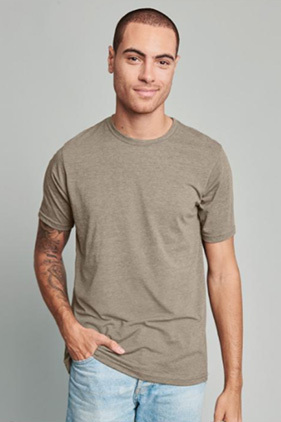 65% polyester/35% combed ring-spun cotton, 40 single 3.5 ounce crew. Set-in collar with front cover stitch. Satin label.